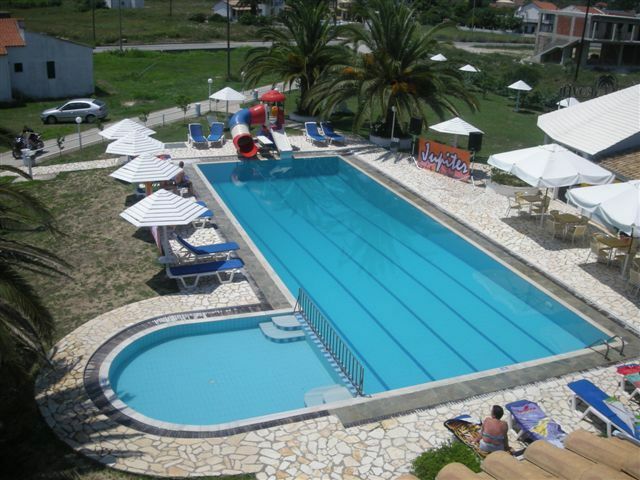 The Palm Grove is a studio and apartment complex situated on the north coast of the beautiful Greek island of Corfu. 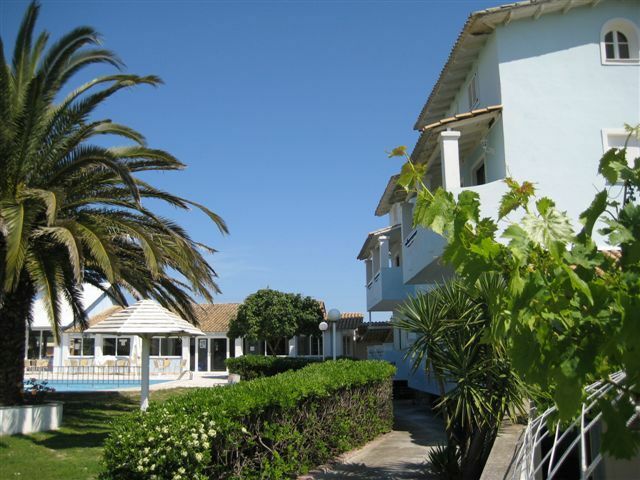 The complex is located 800 metres from the resort centre with its fine range of shops, restaurants, bars and cafes. 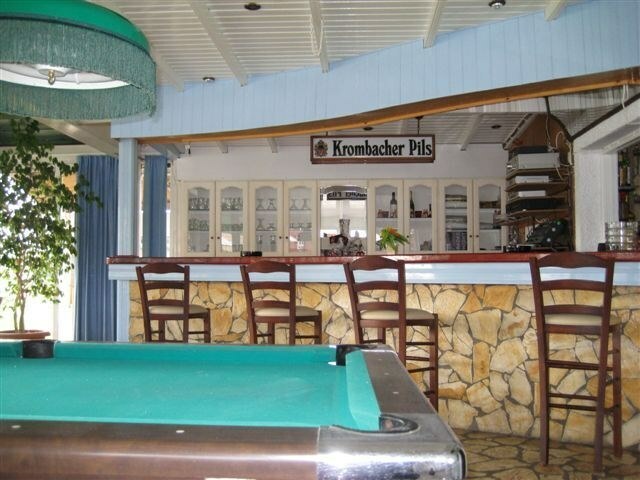 There is a stunning sandy beach 1.5km away, and the onsite bar is a lively popular meeting place that stays open till the early morning. 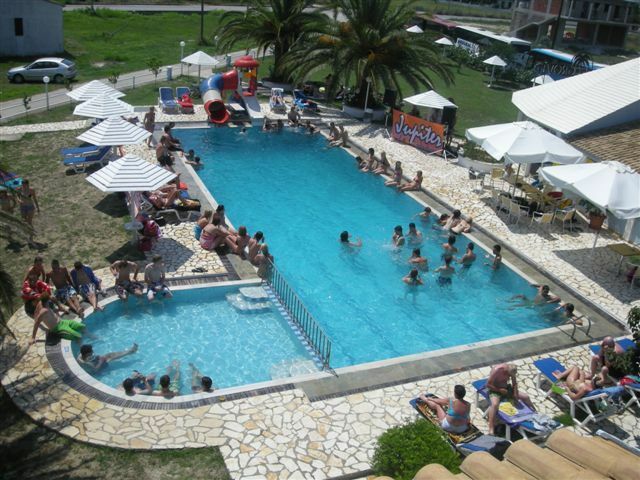 Facilities include an outdoor swimming pool with childrens section and a waterslide, a sun-terrace with free loungers and umbrellas as well as a pool-side bar, a pool table and a lounge. 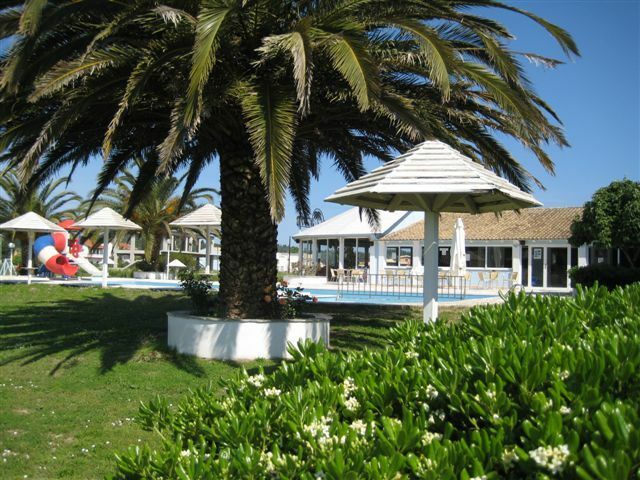 The resort has a number of glorious sandy beaches, including the main beach that has been awarded the Blue Flag for its cleanliness and quality. There is the striking rock formation of Canal d’amour that is ideal and safe for cliff diving and swimming around. At night, plenty of fun bars and clubs come to life and you can dance the night away. 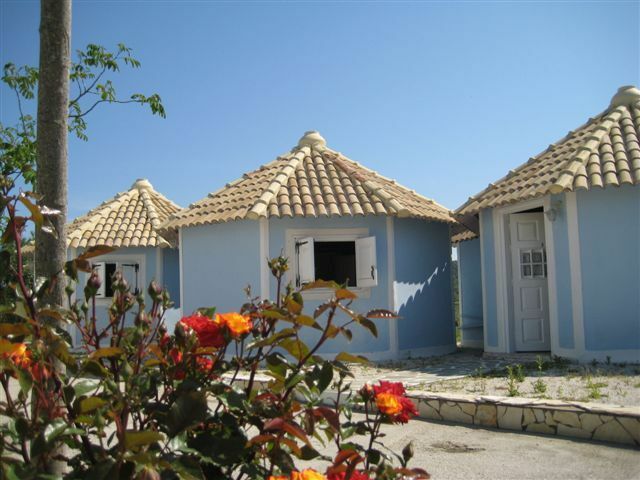 All 17 studios and apartments are equipped with private bathroom, balcony or terrace and a kitchenette with 2 electric cooking rings and a fridge. 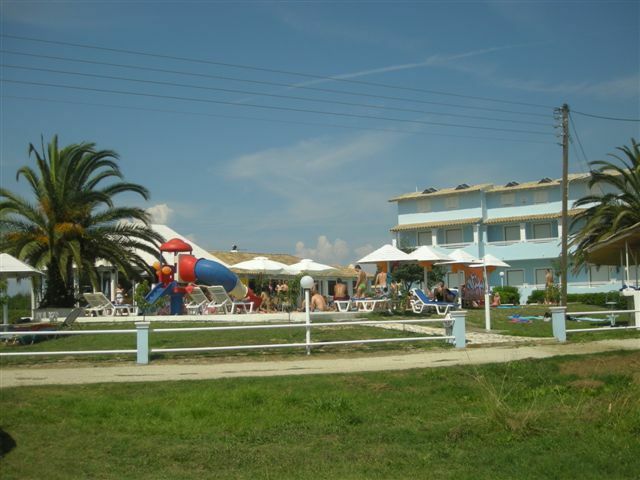 The complex is situated around 1.5km from the nearest sandy beach and resort centre, and 800m from the nearest shops, supermarket, cafes and restaurants. Sidari is approx 38km from Corfu Airport.